Welcome to Friendly Adventures! We chose the name Friendly Adventures, because we started with a core group of friends, acquaintances, and adventurers who enjoy camping, traveling, and exploring; and we are always welcoming new friendly faces to our group. 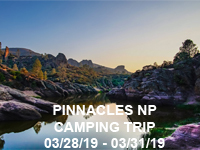 Whether you are interested in California camping, discovering the nation’s National Parks, or international destinations, we promise a fun-filled group experience. We invite all adventurers, from the young to the young at heart, to become part of the unique social dynamic created on every trip. You will enjoy traveling to popular destinations, such as Yellowstone National Park, Big Sur, Costa Rica and Vietnam, without stressing over flight, accommodations, where to eat, and what to do. These trips offer memorable experiences to enjoy the outdoors and the scenic wonders of nature. Never gone camping or traveling before? No problem, we welcome beginners and first timers. 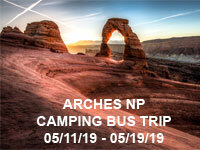 We typically offer between 3 to 5 camping trips per year. On most trips, transportation is provided by first class luxury bus. Instead of worrying about directions and traffic, you can just take in the scenery or socialize with other people on the bus. Food –yes we like to eat and make the food part of a memorable experience; we bring all the cooking equipment, purchase the food, and organize the meals. We believe that just because we are camping on the ground doesn’t mean we shouldn’t eat like we are in the heavens. For the main entrée we might serve steak and salmon, or barbequed chicken and Korean spare ribs, or Vietnamese pho made from scratch. For dessert, we might serve Caribbean sautéed banana with ice cream, or varieties of pie and/or cake. Everyone will share in the meal preparation and cleaning chores and we make it a point to have fun doing it. Also, restrooms and hot showers are provided in or around the campground. As you can see, our camping trips are quite unique. All you really need is a good attitude, a sleeping bag and a tent. These trips are suitable for people of all ages. In fact, they attract people from their 20s to 60s and from all walks of life. We typically offer at least one international destination per year. We try to create interesting and fun international trips at an affordable price, and include many activities as part of the price. It is a quality lifetime experience to explore the various wonders of the world while simultaneously making new friends and getting to know different people. 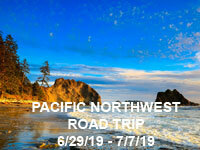 Check out the upcoming trips. Hope to see you soon on a Friendly Adventures outing.